The Lanificio G.B. Conte is one of the oldest wool factories of its kind in Italy. 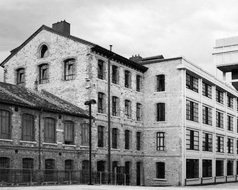 The Conte family, who gave their name to the company and have managed the business ever since 1757, have, through great business sense and devotion, transformed it from the small, original factory into the present-day establishment, which, thanks to its structural dimension, the modernity of the machinery and the advanced level of technology, is one of the most important and reputable wool factories in the country.  In 1987, Alvise Boniver Conte, a graduate in economics (Bocconi University of Milan) and son of the present President, Gemma Boniver Conte, joined the company. Since 1992, the Lanificio Conte has a share in a worsted spinning mill, Altafil, with about 50 workers. In 1992, the Lanificio G.B. Conte transferred its activity to a new site located in the Schio industrial zone. Over the past, the firm has made a name for itself in the production of fabrics for women and men, specializing particularly in carded and combed fabrics for women, including patterned fabrics. The production structure has been updated with particular attention, thus allowing for improvement in product quality, which is widely recognized not only on the domestic market but also abroad, where a considerable part of it is destined. The Lanificio G.B. Conte has a large and faithful clientele which considers "Tessuto Conte" as synonymous with taste, quality and modernity. In fact, the first memories of the Lanificio G.B. Conte date back to 1757. 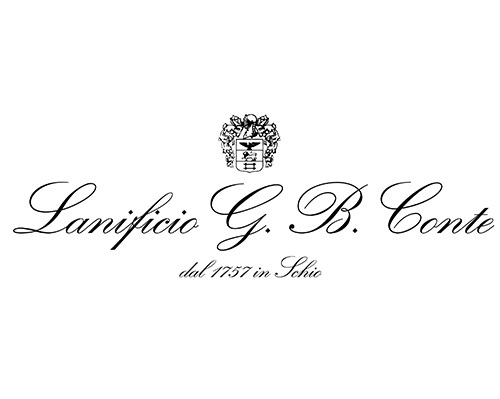 The Conte family was already well-known in Schio three centuries before, but only in that year did the Conte family gain notability as wool manufacturers. This was due to Antonio Di Giovan Battista, who succeeded in buying and taking over a wool factory from a certain Donadelli; this factory was situated in the very same place as is the Lanificio G.B. Conte today. In 1866, the factory took on the definitive architectural style of a four-storey industrial building, including the cast-iron structures which were the latest designs of that time. The adjunction of the Veneto region to the rest of Italy brought changes: the importation from abroad of new machinery, built with the most modern technology of the time and suitable for the development of production in order to satisfy the ever-increasing demand. On the impetus of Giovanni Battista (1848-1884), nick-named "Titella" by Alessandro Rossi, his godfather, the machinery was updated and substantially developed. In 1883, just four years after Edison invented the light bulb, electric lighting was installed in the premises. The premature death of Titella Conte in 1884 was a great loss for the factory, all the more as he left a son only a few months old. However, his widow, Elisa Dalle Ore, succeeded in managing the factory, intelligently and courageously until her son Alvise, then eighteen years of age, entered his father's business in 1902. It was this very Alvise Conte who gave the company a boost, such as it had never had in its long history, by renewing machinery and increasing productivity. A technician as well as a manager, both conservative and innovative, Alvise Conte finished his training in the factory and on various European and overseas visits. On the death of Alvise Conte (1950), his son-in-law, Giovanni Maria Bertollo, married to his daughter Elisa, took over the management of the factory. This successor, with his sense of initiative and administrative prudence, managed to further increase the company's productivity. In 1973, Giovanni Battista Bertollo Conte, graduate in economics, (Foscari University of Venice) entered the business at his father's side. Giovanni Battista Bertollo Conte, after a period of apprenticeship, succeeded his father, the latter becoming Honorary President and remaining so up to his death in 1991. Finally, in 1987, Alvise Boniver Conte, also graduate in economics (Bocconi University of Milan) and son of the present President, Gemma Boniver Conte, joined the company and today he is the company Managing Director.